I’ve not been doing a whole lot of sewing or crafting as of late, but as I have been waiting for this baby to come I realized I wanted Eli to have something new and Mama-made to hold onto when I go to the hospital. Due to the flu season being what it is this year they are limiting all visitors to the maternity floor to spouses and the baby’s grandparents only, and certainly no children under 16 years of age allowed! This is going to be a bit hard on Eli (and me as well, if I’m honest) even though I know he will be well taken care of while I am absent. I like seeing the softies that other people make in magazines at the book store. They are so ugly-cute and fun. It’s a no-pressure project because as long as it holds together you really can’t go wrong. 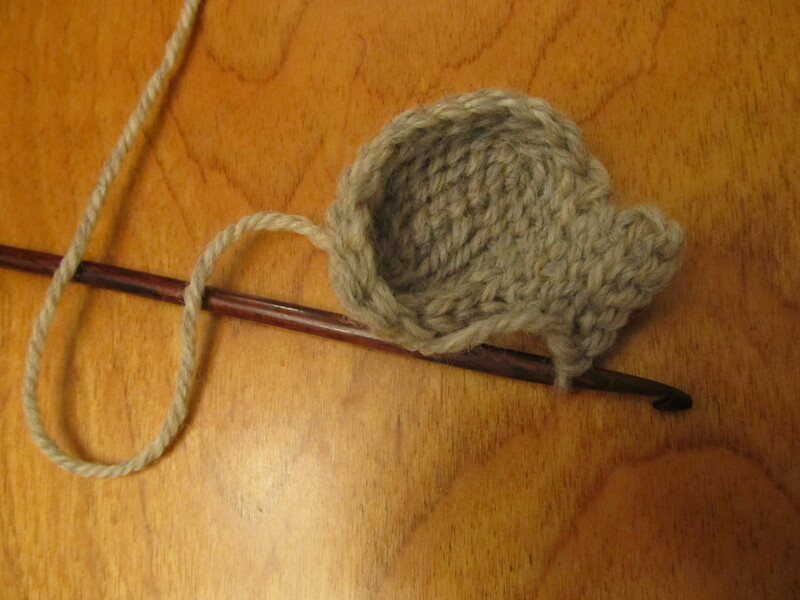 I started off by crocheting a pair of ears. They came out slightly differently shaped but once sewn onto the head I found they were just fine. The body and trunk are made with a remnant from a man’s shirt that had been used previously in a quilting project. 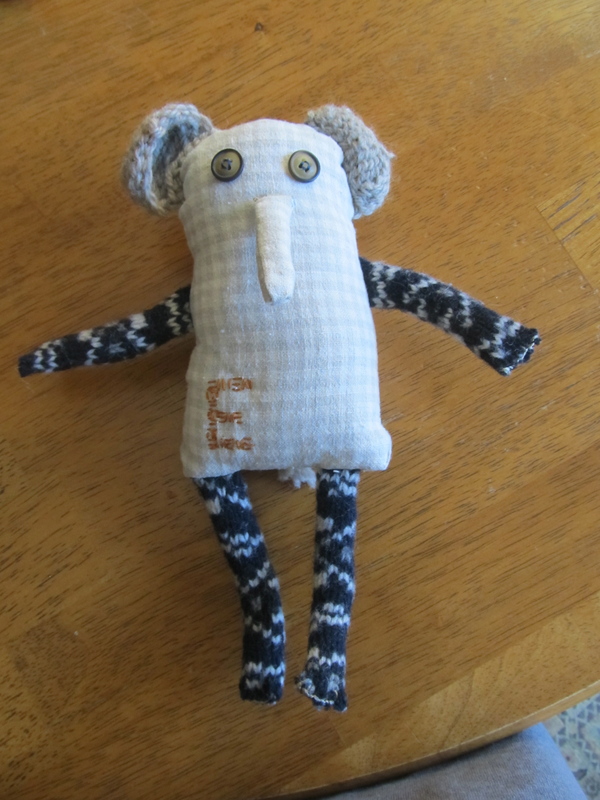 The arms and legs were from an old felted wool sweater. 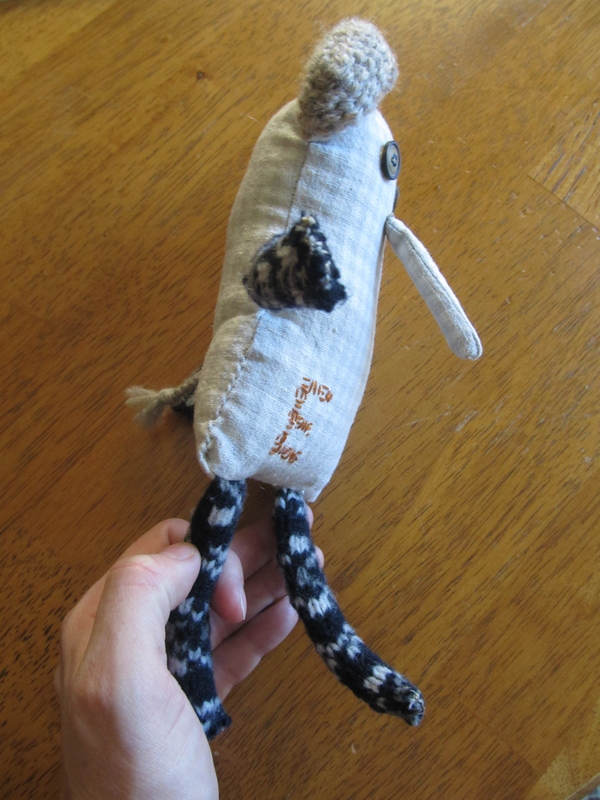 I embroidered an “E”, added a braided tail and finished the critter off with a couple of button eyes. Simple, quick and definitely huggable. Aw! Very cute. 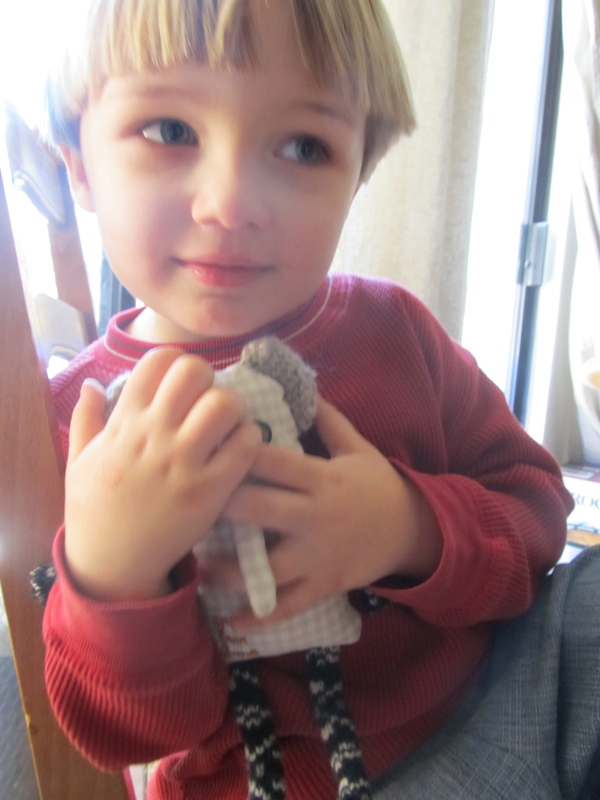 I love making toys for kids and the reason behind this one is super sweet. The idea of a children’s book sounds like a lot of fun! I definitely wouldn’t describe that as ugly-cute but rather so stinkin’ cute!